On the 12th of May, the WP was visited by Mr Fletcher, who gave an interesting and informative talk on the “Spaghetti Western.” Mr Fletcher spoke excellently on the history behind the film genre, and the inspirations and themes on which Sergio Leone based his “Dollars” trilogy. He began by showing us a clip from “Yojimbo,” a Japanese Samurai film which inspired Leone to make his own western, with a Samurai-style anti-hero. Working on a low budget and with an almost entirely Spanish and Italian cast (except, of course, for the then-unheard-of Clint Eastwood), Leone managed to create a hugely popular western using the rough plot of “Yojimbo.” Despite being sued by Akira Kurosawa, the director of “Yojimbo,” Leone received great success thanks to “A Fistful of Dollars” (1964), as it was eventually titled, although this was in part thanks to the music composed by his old school friend, Ennio Morricone. Interestingly, Leone was originally unaware of the popularity achieved by the “The Magnificent Stranger” – he failed to recognise that the positive reviews related to his film. 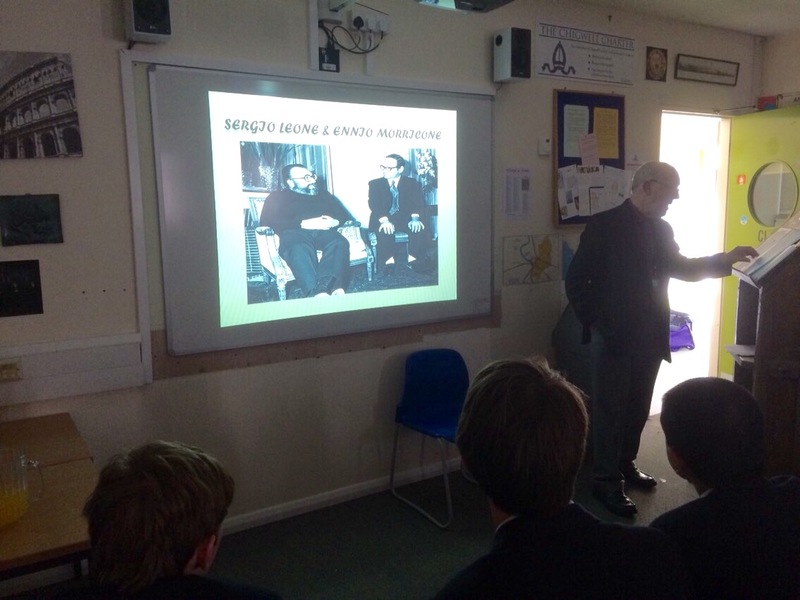 Mr Fletcher’s talk was engaging and interesting, and I’m sure that we are all very grateful to Mr Fletcher for delivering such a fascinating talk about some of the most influential films of all time.